Proof Theory for Fuzzy Logics (with N. Olivetti and D. Gabbay). Springer Series in Applied Logic Vol. 36 (284 pages), 2008. Proof Theory of Mathematical Fuzzy Logic. Studies in Logic Vol. 37, College Publications (2011), 209-282. Ordered Algebras and Logic (with F. Paoli and C. Tsinakis). In Probability, Uncertainty and Rationality. CRM Series Vol. 10, Edizioni della Scuola Normale Superiore, Pisa (2010), 3-83. Goal-Directed Methods for Fuzzy Logics (with N. Olivetti). We Will Show Them! (2): Festschrift in honour of Dov Gabbay's 60th birthday. King's College Publications (2005), 307-330. Uniform Interpolation and Coherence (with T. Kowalski ). Ann. Pure Appl. Logic, to appear. Checking Admissibility using Natural Dualities (with L. Cabrer, B. Freisberg, and H. Priestley). ACM Trans. Comput. Log. 20(1) (2018), 1-19. A Real-Valued Modal Logic (with D. Diaconescu and L. Schnüriger). Log. Methods Comput. Sci. 14(1) (2018), 27 pages. Expressivity of Chain-Based Modal Logics (with M. Marti). Arch. Math. Logic 57(3-4) (2018), 361-380. Uniform Interpolation and Compact Congruences (with S. van Gool and C. Tsinakis). Ann. Pure Appl. Logic 168 (2017), 1927-1948. Decidability in Order-Based Modal Logics (with X. Caicedo, R. Rodriguez, and J. Rogger). J. Comput. Syst. Sci 88 (2017), 53-74. Density Revisited (with C. Tsinakis). Soft Computing 21(1) (2017), 175-189. An Avron Rule for Fragments of R-Mingle. J. Logic Comput. 26(1) (2016), 381-393. Proof Theory for Lattice-Ordered Groups (with N. Galatos). Ann. Pure Appl. Logic 167 (2016), 707-724. Admissibility via Natural Dualities (with L. Cabrer). J. Pure Appl. Algebra 219(9) (2015), 4229-4253. Exact Unification and Admissibility (with L. Cabrer). Log. Methods Comput. Sci 11(3) (2015), 15 pages. Amalgamation and Interpolation in Ordered Algebras (with F. Montagna and C. Tsinakis). J. Algebra 402 (2014), 21-82. Admissibility in Finitely Generated Quasivarieties (with C. Röthlisberger). Log. Methods Comput. Sci. 9(2) (2013), 19 pages. Craig Interpolation for Substructural Semilinear Logics (with E. Marchioni). MLQ Math. Log. Q. 58(6) (2012), 468-481. Admissibility in De Morgan Algebras (with C. Röthlisberger). Soft Computing 16(11) (2012), 1875-1882. Towards a Proof Theory of Gödel Modal Logics (with N. Olivetti). Log. Methods Comput. Sci.7(2) (2011), 27 pages. Admissible Rules in the Implication-Negation Fragment of Intuitionistic Logic (with P. Cintula). Ann. Pure Appl. Logic 162(10) (2010), 162-171. Herbrand's Theorem, Skolemization, and Proof Systems for First-Order Lukasiewicz Logic (with M. Baaz). J. Logic Comput. 20(1) (2010), 35-54. Algebraic and Proof-theoretic Characterizations of Truth Stressers for MTL and its Extensions (with A. Ciabattoni and F. Montagna). Fuzzy Set. Syst. 161(3) (2010), 369-389. A Sequent Calculus for Constructive logic with Strong Negation as a Substructural Logic. Bull. Sect. Log., 38(1) (2009), 1-7. Giles's Game and Proof Theory for Lukasiewicz Logic (with C. G. Fermuller). Studia Logica, 92(1) (2009), 27-61. Structural Completeness for Fuzzy Logics (with P. Cintula). Notre Dame J. Formal Logic 50(2) (2009), 153-183. Proof Theory for Admissible Rules (with R. Iemhoff). Ann. Pure Appl. Logic 159(1-2) (2009), 171-186. Density Elimination (with A. Ciabattoni). Theoret. Comp. Sci. 403 (2008), 328-346. Substructural Fuzzy Logics (with F. Montagna). J. Symbolic Logic 72(3) (2007), 834-864. Fuzzy Logics Based on [0,1)-Continuous Uninorms (with D. Gabbay). Arch. Math. Logic 46(6) (2007), 425-469. Normal Forms for Fuzzy Logics: a Proof-Theoretic Approach (with P. Cintula). Arch. Math. Logic 46(5) (2007), 347-363. Proof Calculi for Casari's Comparative Logics. J. Logic Comput. 16(4) (2006), 405-422. Sequent and Hypersequent Calculi for Abelian and Lukasiewicz logics (with N. Olivetti and D. Gabbay). ACM Trans. Comput. Log. 6(3) (2005), 578-613. Lukasiewicz Logic: From Proof Systems to Logic Programming (with N. Olivetti and D. Gabbay). Log. J. IGPL 13 (2005), 561-585. Hypersequents and Fuzzy Logic (with N. Olivetti and D. Gabbay). Rev. R. Acad. Cienc. Exactas 98(1) (2004), 113-126. Analytic Proof Calculi for Product Logics (with N. Olivetti and D. Gabbay). Arch. Math. Logic 43(7) (2004), 859-889. Coherence in Modal Logic (with T. Kowalski). Proc. AiML 2018, College Publications (2018), 236-251. Proof Theory and Ordered Groups (with A. Colacito). Proc. WoLLIC 2017, LNCS 10388, Springer (2017), 80-91. Axiomatizing a Real-Valued Modal Logic (with D. Diaconescu and L. Schnüriger). Proc. AiML 2016, College Publications (2016), 236-251. Skolemization for Substructural Logics (with P. Cintula and D. Diaconescu). Proc. LPAR 2015, LNCS 9450, Springer (2015), 1-15. A Hennessy-Milner Property for Many-Valued Modal Logics (with M. Marti). Proc. AiML 2014, College Publications (2014), 407-420. A Finite Model Property for Gödel Modal Logics (with X. Caicedo, R. Rodríguez, and J. Rogger). Proc. WoLLIC 2013, LNCS 8071, Springer (2013), 226–237. Herbrand Theorems for Substructural Logics (with P. Cintula). Proc. LPAR 2013, LNCS 8312, Springer (2013), 584-600. Admissible Rules: From Characterizations to Applications. Proc. 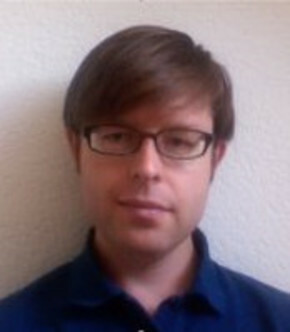 WoLLIC 2012, LNCS 7456, Springer (2012), 56-69. Unifiability and Admissibility in Finite Algebras (with C. Röthlisberger). Proc. CiE 2012, LNCS 7318, Springer (2012), 485-495. Interpolation Properties for Uninorm Based Logics (with E. Marchioni). Proc. ISMVL 2010, IEEE Computer Society Press (2010), 205-210. Proof Systems for a Godel Modal Logic (with N. Olivetti). Proc. TABLEAUX 2009, LNAI 5607, Springer (2009), 265-279. ). Proc. LFCS 2009, LNCS 5407, Springer (2009), 230-245. Herbrand Theorems and Skolemization for Fuzzy Logics (with M. Baaz). Proc. CiE 2008, LNCS 5028, Springer (2008), 22-31. Density Elimination and Rational Completeness for First Order Logics (with A. Ciabattoni). Proc. LFCS 2007, LNCS 4514, Springer (2007), 132-146. Proof Theory for First Order Lukasiewicz Logic (with M. Baaz). Proc. TABLEAUX 2007, LNAI 4548, Springer (2007), 28-42. Uniform Rules and Dialogue Games for Fuzzy Logics (with A. Ciabattoni and C. G. Fermuller). Proc. LPAR 2004, LNAI 3452, Springer (2005), 496-510. Goal-Directed Methods for Lukasiewicz Logic (with N. Olivetti and D. Gabbay). Proc. CSL 2004, LNCS 3210, Springer (2004), 85-99. Goal-Directed Calculi for Godel-Dummett Logics (with N. Olivetti and D. Gabbay). Proc. CSL 2003, LNCS 2803, Springer (2003), 413-426. Bounded Lukasiewicz Logics (with A. Ciabattoni). Proc. TABLEAUX 2003, LNCS 2796, Springer (2003), 32-47. Analytic Sequent Calculi for Abelian and Lukasiewicz logics (with N. Olivetti and D. Gabbay). Proc. TABLEAUX 2002, LNCS 2381, Springer (2002), 191-205. King's College London, UK, 2004. St. Anne's College, Oxford, UK, 1996. Associate Professor. University of Bern, Switzerland, 2013-Present. Assistant Professor (Tenure-Track). University of Bern, Switzerland, 2009-2013. Assistant Professor (NTT). Vanderbilt University, USA, 2006-2009. Marie Curie Fellow. Vienna University of Technology, Austria, 2004-2006.